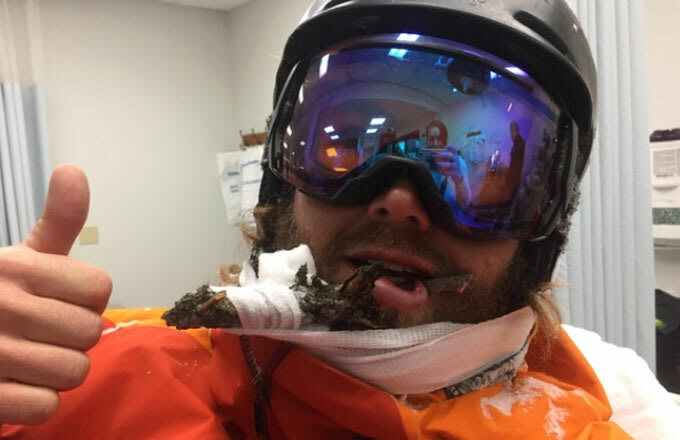 All things considered, ski instructor Natty Hagood is in a pretty good mood for a guy who had a branch rip through his mouth after a snowboarding accident last week. The Wyoming native explained that he blasted into a tree after trying to swerve during a trip with friends. 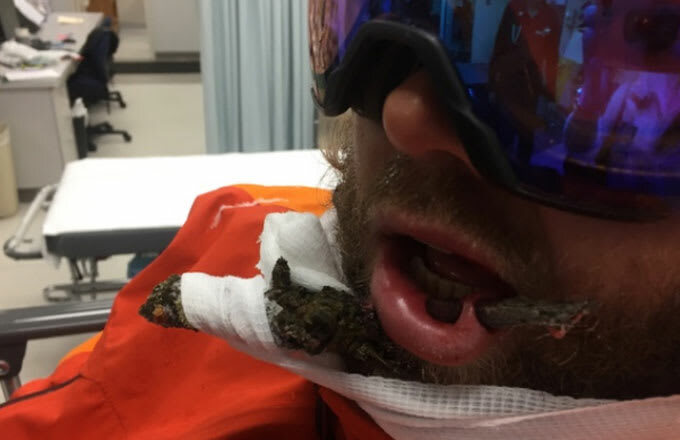 What came of Hagood&apos;s decision was an 18-inch limb going through the side of his mouth. It happened so quickly that he didn&apos;t even feel any pain. "I thought maybe my chinstrap got pushed up into my face, so I tried to brush it off and that’s when I felt the stick," he said, according to the Idaho State Journal. "So, I shook left to right and saw the stick moving in my peripherals. 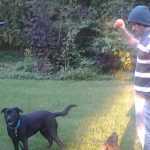 I reached out and grabbed it and wiggled it before realizing it was pretty far in there." Later, at the hospital, surgeons filled his mug with anesthesia so they could free the branch by cutting around the wound. The local community now refers to him as "Lipstick." Furthermore the hospital bills led Hagood to set up a GoFundMe to recoup the expenses from the surgery or, as he put it, "help me pay for my new lip." That effort reached its $1,500 goal within six days. Let this whole write-up (and the pictures, don&apos;t forget the pictures) serve as a cautionary tale.